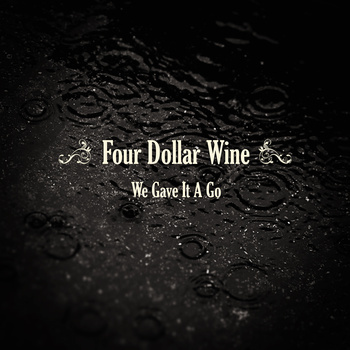 This is the most excited I've been about sharing music on my blog ever: Four Dollar Wine has just announced the January release of their debut album "We Gave It A Go" and have released the first two songs. You can now download for free the songs "Somebody New" and "Please Come Home" and if you pre-order the album you also already get the song "We Gave It A Go". Check out the album trailers made by Scott Solary using nostalgic footage as visuals to these moody, dark and heartfelt Americana songs. Currently the music is available through Bandcamp, but will be on iTunes, amazon etc. as soon as the album is released. Best way to stay updated is through the Four Dollar Wine Facebook page. Okay, now that you've checked out the music "without prejudice" I can tell you that the singer of this Brooklyn-Berlin band is my husband Scott Solary who started Four Dollar Wine with our friend and musician extraordinaire Thimo Sander (guitarist, Ich und Ich) in Berlin as a lark when I needed a song for my In A Berlin Minute Planking video. I had written those silly lyrics and just wanted Thimo to sing them in a kind of country-western style. Little did I know Scott would sing - and little did anyone know that the guys would enjoy this so much that they would get serious and record several moody alt-country songs in Berlin. A few months later when we had moved back to Brooklyn, Thimo came over and they wrote a few more gems. I cannot express how surprised and charmed I am by this music that these guys created together. I knew Thimo was good - but Scott had never sung before. Suddenly I find myself in love with a musician... does that make me a groupie?